The Holocaust Council of Greater MetroWest mourns with profound sorrow the passing of Sir Martin Gilbert. I consider myself very fortunate to have known him. He asked me to recommend survivors for a book he was working on about Righteous Rescuers. He and his beloved wife, Esther, came here for a program, and Joanna Ernst and her husband brought him to their son’s school, Delbarton, to do a presentation to the students and faculty. Our survivors were graciously invited to attend that event. Sir Martin was a brilliant scholar, cartographer and writer as well as a warm and wonderful human being who left a lasting legacy that will inform current and future generations. Yad Vashem Studies, volume 43, number 1 (2015). Gilbert saw himself as a chronicler, carving a historical narrative from the documents and the archives, and allowing readers to make their own judgments. He was a master of detail but his particular genius, at first with Churchill and later with the Holocaust, was to bring into his books as many ordinary people as he could. He used to say that Churchill was such an impossibly large figure that his biography needed to be leavened with the presence of all the lesser mortals surrounding him. Gilbert made it his job to locate every surviving secretary and chauffeur, every pilot and gardener, who had ever worked for the great man. He maintained a huge correspondence with the totally unknown as well as the great and the good, and was endlessly generous to other researchers. Like many great historians, Sir Martin was actively engaged with his times as well. A committed Zionist and authority on Jewish history, he helped to establish the discipline of Holocaust studies and explored the long epic of the Jewish diaspora, in Europe and elsewhere. He wrote about British diplomacy, Soviet refuseniks, the first and second World Wars, and the history of Jerusalem. He was a broadcaster, documentarian, and familiar voice on radio and television ….. Above all, he was a gentleman of genius and decency, who wrote hard truths and explained the world he inhabited. A hallmark of Mr. Gilbert’s work was his interest in writing history from the bottom up, incorporating the stories of ordinary people caught up in the sweep of epochal events. Even in writing the life of the top-down Churchill, he sought out the prime minister’s former secretaries, chauffeurs and other employees to lend the narrative a populist perspective. Early in my career in Jewish journalism, I was working on a column about the ideological considerations of interwar Zionists’ appeals to Western leaders. Winston Churchill obviously figured in this story, and so I knew immediately the best person to reach out to for input: Martin Gilbert. His response to that inquiry always stuck with me, and it’s only added to the sadness of the news today that Gilbert has passed away. I emailed Gilbert my question. He responded with a warm note and emailed me a digital copy of a page of his manuscript for his book Churchill and the Jews. The book was already published (indeed it was already in paperback), so he could have referred me to the book. Had he wanted to be even more helpful, he could have given me a page number. But he sent me the page from the manuscript that he thought might be of the most help to my column in part because the page had his own notes on it. He was giving me not just the finished copy, but the thought process that led to it. A few things struck me about the exchange. The first was that Sir Martin Gilbert, Churchill’s official biographer, had essentially volunteered to do my research for me. The second was that I had never met nor spoken to Gilbert before that, so it wasn’t as though he was taking this effort for a friend. Then I realized just how generous he must be with actual friends and colleagues. But far more important for Gilbert’s legacy was what it said about his approach to historiography. Martin Gilbert had a rare combination of intellectual ambition and personal humility. On an issue related to Winston Churchill and also to the events leading up the founding of the State of Israel–two monumental subjects of the 20th century–there was absolutely no question that Gilbert was the man to ask. That is an accomplishment in itself. He studied and taught at Oxford, which became his academic home, but very frequently left the ivory tower for his research. He collected historical documents and testimony — including letters, diaries, minutes of meetings, conversations and photographs — from military cemeteries and battlefields, monuments throughout Europe and archives all over the world, including in Israel. He described himself as a “historian of archives,” who chose to write history from the perspective of the people. As prodigious as his output as a scholar was, it was his generosity with people that I will remember most. Sir Martin was my friend. He had many to be sure, dignitaries and gardeners alike, but when he addressed you, his attention was yours. As a senior in college in the late 2000s, I wanted to explore the Jewish life of the land of my birth, India. The paucity of search results at the library was offset by a curious sounding title that did show up: Letters to Auntie Fori: The 5000-year History of the Jewish People and their Faith. After deciding to take a train trip through Europe to India, the young Sir Martin had the chance to meet Fori Nehru, the mother of a close friend and the wife of senior Indian diplomat B.K. Nehru, who was a former ambassador to Washington, high commissioner to London and a cousin of India’s first prime minister, Jawaharlal Nehru. What was striking about “Auntie” Fori, in that respectfully affectionate Britishism, was that she was from a Jewish family in Budapest and had moved to England, where she met B.K., or “Biju” as he was known. She avoided the Nazi peril by marrying Biju, moving to India, and starting over as Sobha in what is a remarkable story in its own right. Only the Indo-Jewish union of the former Guyanese Prime Minister Cheddi Jagan to his wife Janet née Rosenberg rival Fori and Biju’s in prominence and improbability. After his trip, Sir Martin was requested by Auntie Fori to write to her with the story of the Jewish people, as Auntie Fori knew little of her heritage. The resulting letters form a conversation that seems to breeze nonchalantly from Adam to Jews and Sports to, pace Chabon, the Jews of Alaska. One of the more touching stories recounted by Sir Martin was in his section on India, where he recounts how, in their long history on the Subcontinent, Jews never faced significant violence or persecution from the native population—an anomaly of history. And a record only recently marred by the deadly 2008 Mumbai attacks by Pakistani terrorists. Even after many years of digesting far more comprehensive surveys of Jewish history, the simplicity and delight of Letters to Auntie Fori remains, for me, undimmed. Among other talents, he was an outstanding cartographer. His “map books” detailed various histories with extraordinary impact. He had an uncanny memory, possibly derived initially from his service in the British Army, and his memory was visual, not only verbal. He could walk down almost any Jerusalem street, and tell exactly what the street looked like in 1927 (or any other year), how it had changed in 1932 as this or that building was constructed while that other one was torn down, and how it looked somewhat later in 1946, or 1958. By the way, he could do the same for London, so anyone who toured either city with Martin was fortunate to have a guide graced by genius. His tours for friends brought a city to life. His familiarity with the history of each city (and possibly other cities as well) was intimate, but the visual reconstruction in his memory was unlike that of any other person I’ve known. There was something gutsy about it, as if he personally had lived and experienced each year, each period, as if he personally knew and felt the joys and sorrows of that precise year or period. …….When I was working closely with him, I was often asked by knowledgeable professional friends (that is, journalists) what kind of staff he had. The belief was that he had a number of interns, young graduate students, or others, industriously researching various subjects for the great author. That wasn’t the case. So far as I knew and could observe, as far as hired help goes, he had only a secretary who was not even full-time. He didn’t have to be helpful. He didn’t know me or anything about me, only that I had an idea for a novel about the last living survivor of the Holocaust, and wanted to speak to him. He was intrigued, so he agreed to sit down with me after his lecture at the University of Western Ontario in London. Make that London, Ontario, a Canadian city of 350,000 people 120 miles west of Toronto………There we were, along with his wife, Esther, sitting in a university cafeteria, surrounded by a throng of students who didn’t seem to know him from Adam. I told him about my premise – a novel set in the near future about a 100-year-old Holocaust survivor who is caught in a world that is woefully ignorant of the past century. Did he think it far-fetched? No, not at all. And then he offered me this tidbit: “Why don’t you have an event in the year 2030 that would eclipse the Holocaust?” Hmm. What a thought. And that’s exactly what I did. Gilbert’s book, the quintessential treatise on the genocide of Jews during World War II, should be required reading for any history course on the 20th century. ……..The contribution this man made to history is beyond measure. He wrote about Soviet refuseniks and was known to be a devout Zionist, but he was also part of a not-for-profit think tank committed to improving conditions for Palestinians on the West Bank……A master documenter of events who would leave no stone unturned, he brought a sense of purpose and balance to everything he wrote. He had a huge talent for analyzing mountains of documents, and for organizing masses of information into compelling narratives. His capacity for research and writing was incredible. He was not a theoretical or philosophical historian, but had an unrivalled ability to make history out of the individual stories of ordinary people. Among his volumes of scholarship, one of my favorite books is ‘In Search of Churchill’ – the personal memoir of how he wrote and researched the Churchill biography. He tells how in pre-internet, pre-cell phone days he searched out with unquenchable tenacity the minor characters who figured in the Churchill story – the drivers, the typists, the military officers, tracking them down in their retirement in rural English villages, years after the War. Each had stories to tell; each could bring something to the story of ‘England’s Finest Hour’. …he was drawn to the great historical subjects of his time and though a passionate champion of archival research, his view stretched far beyond the ivory tower. His view of history was humane, books about great subjects for ordinary readers. The passing of Sir Martin Gilbert CBE is sad news for the entire Jewish world, for Great Britain and for historians everywhere. Every educated Jew’s bookshelf has been enriched by at least some of Martin Gilbert’s many scholarly and accessible books. Few shelves are long enough to accommodate his entire body of work: over the course of an exceptionally dedicated and productive life he produced some 88 books. Many of these are extraordinarily visual for historical studies. Believing that the Jews have suffered from too much history and not enough geography, and that the study of the past makes insufficient sense without an understanding of place, he produced many atlases of Jewish, British, American, Russian and Israeli history based on original research among archives, documents, photographs and maps, and derived from extensive travel. He took upon himself a massive workload. In addition to his essential and ground-breaking work on Holocaust history, he produced six volumes of the massive biography of his hero, Winston Churchill, as well as innumerable works on Israel and its history. He served the Soviet Jewry campaign with distinction and earned his knighthood for services to history as well as for his expertise on international relations. He described himself as a “pugnacious Zionist” and he had a deep appreciation for Israel’s vibrant life and its humane and democratic values. Illness very suddenly brought his career to an end, far too soon for a scholar and a gentleman who had so much more to give. He made his mark and he will be sorely missed. 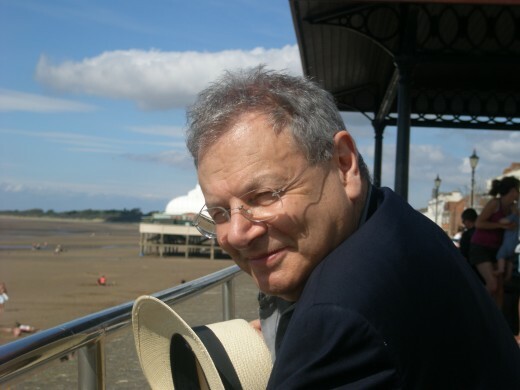 The Anti-Defamation League (ADL) mourns the loss of the noted author and historian, Sir Martin Gilbert, saying his death was a “great loss” to the Jewish people, to the United Kingdom, and to academia. Gilbert was invited to be scholar-in-residence at my synagogue over a decade ago. I had read several of his books but never met the eminent historian and was excited to do so. Shortly before he came I fell ill with a seizure and brain tumor. I was recovering, and unable to go anywhere, the weekend he spoke. We had a brief conversation on the phone and I told him I was always interested in WWI, about which he had written a fine book. Three weeks later from England, a package arrived: five books on World War I, all signed by the authors who were friends of Gilbert’s. A few years later when I recovered and was traveling in England, he invited me to his house to finally meet. Over dinner I told him how much his gracious gesture meant to me. He was characteristically diffident and humble. To be an historian of Gilbert’s caliber is extremely rare. To be renowned and so kind is a model from which all can learn, and so honor the memory of this true scholar and gentleman. May his memory be for a blessing.